1886 Bar’s La Brigada. Yes, that’s a chicharron garnish. I ran through most of the menu (hosted) this weekend — but missed out on the new carbonated cocktail, Southern Belle Whistle, and the barrel-aged Vintage Caprice Sell Out — and found them all to be exceptional. No real misses. And the best part is that there’s something for everyone here. 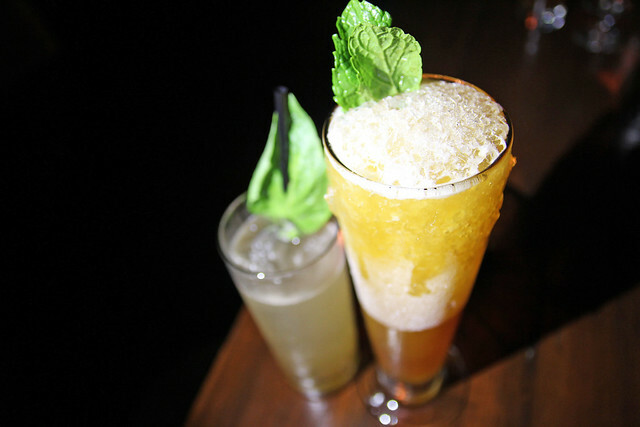 Whether you’re looking for a light and refreshing tipple like the Bols Genever Basil Collins or a potent and aromatic cocktail like the Dutch Kills. 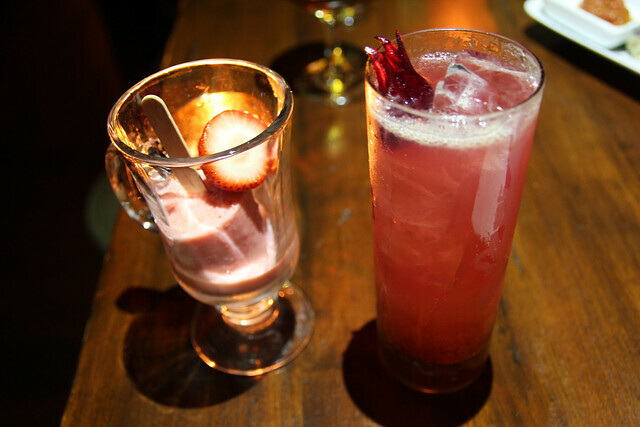 For me, the cocktail I couldn’t get enough of was the creamy, pop shot Strawberry Paleta. But the cocktail I wish I could have stuck around to finish was the Tranquilizer. Huge, potent and oh-so drinkable, it was too dangerous to finish after already having sipped on 10 cocktails. I recommend starting your night with it and going from there, gauging if you can handle another. La Brigada: Mezcal, homemade agave liqueur, fresh pineapple, lime served over crushed ice with frozen coconut water and chicharron garnish. This savory cocktail created by bartender Lacey Murillo after her family trip to La Paz is meant to evoke Baja but I get backyard barbecues. A whiff of the smokey scent of grilled meat. It’s like drinking a smokey margarita. Do yourself a favor and eat the chicharron, savor and then take a sip of the cocktail for a truly decadent experience. 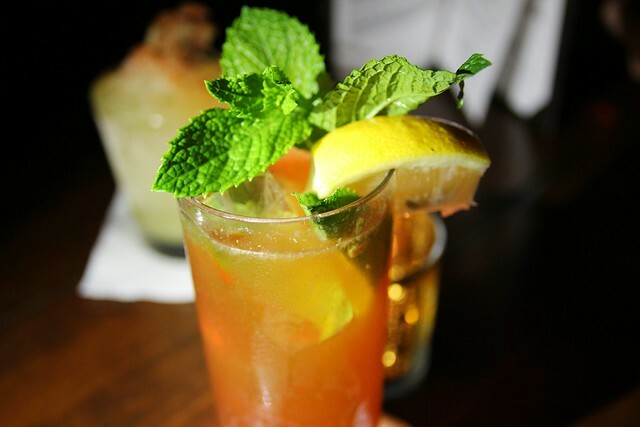 Pimms #6: Karlsson’s Gold Vodka, Summer Pimms recipe topped with homemade sparkling lemonade. Pimms #6 is lemony, sparkly and refreshing. Perfect for a hot summer day. Best enjoyed on the patio. 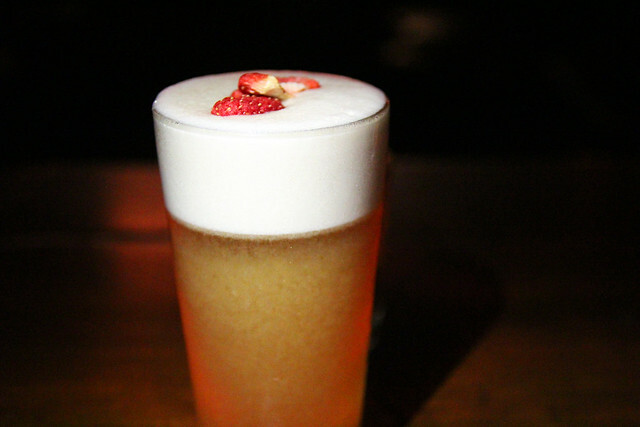 Summer Shrub Fizz: Demerara Rum, London Dry Gin, organic egg whites, homemade strawberry shrub, Meyer lemon essence. Created by Peter Lloyd Jones and Garrett to evoke sitting under the old Raymond hotel’s California oak. Summer Shrub Fizz is definitely an acquired taste, even for those familiar with shrubs. My bf, who likes shrubs, said it had a musty closet smell, probably because of the egg and vinegar combo. But I found it appealing with its sour and sweet, silky texture. Kai Lani: A Tiki cocktail made with aged rum, overproof Jamaican rum, peach liqueur, fresh lemon juice and Garrett McKenie’s spice mix #1. 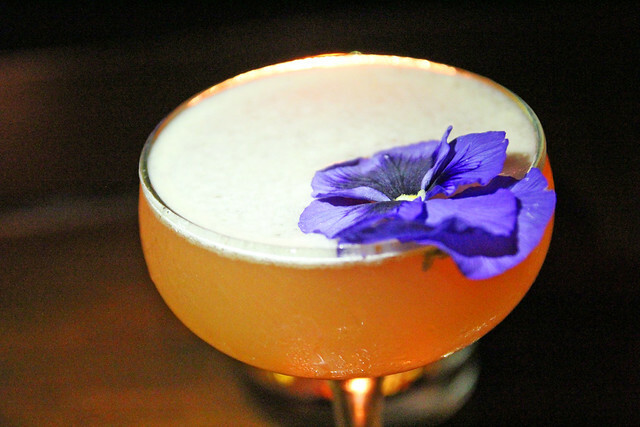 Kai Lani is a peachy, summery sipper but not sickly sweet. Dutch Kills: Barrel-Aged Bols Genever, Italian Vermouth, bitters, apricot liqueur. For Eastsiders who find the Eveleigh on Sunset a long way to go, Eveleigh bartender Dave Kupchinsky created this tasty stirred cocktail. Xocolate: Reposado tequila, Italian Vermouth, creme de cacao, Mexican mole bitters. The debut cocktail of new 1886 bartender Eder Campos. 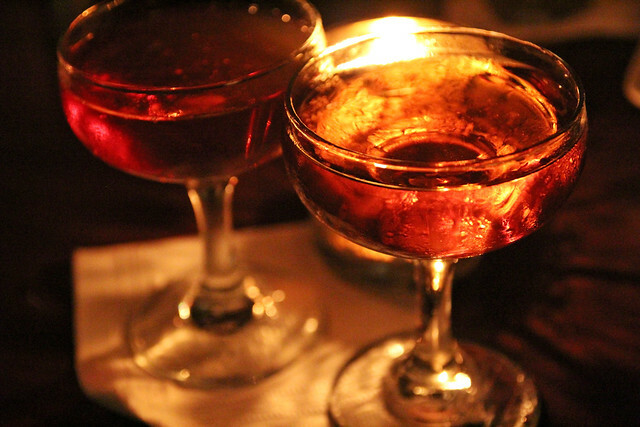 Dutch Kills is sorta like a malty, rounded Manhattan. Xocolate finishes so spicy and has a layered flavor experience. Doesn’t hit you in one shot. BBC: Bols Genever Basil Collins by 1886 godfather and Bols Genever ambassador Marcos Tello. After Hours: Spiced rum swizzler with passionfruit, pineapple, bitters and topped with hazelnut porter created by Lacey and beer cocktail connoisseur Brady Weise. BBC is refreshing, sparkly, bright. After Hours is OMG so good. Hint of hazelnut. Fruity. Fun tiki drink. Strawberry Paleta: California strawberries, cream and rum chilled using liquid nitrogen. Rosebud: Hibiscus liqueur, Benedictine, lime juice, Reposado tequila, Fever Tree Lite Tonic. A pink cocktail by Brady. Strawberry Paleta is my hands-down favorite summer cocktail; creamy and sweet. In sharp contrast, Rosebud is tart and dry. 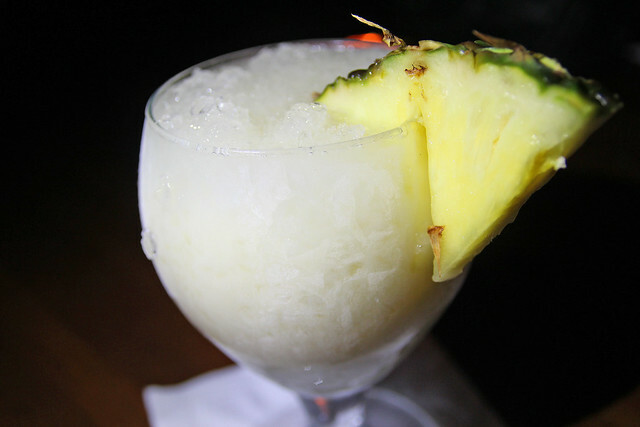 Tranquilizer: Overproof rum, Batavia Arrack, coconut and pineapple by Garrett. Tranquilizer tastes like Hawaii, so sweet and coconutty. Warning: It’s a potent potable but goes down too easily. I love it so.